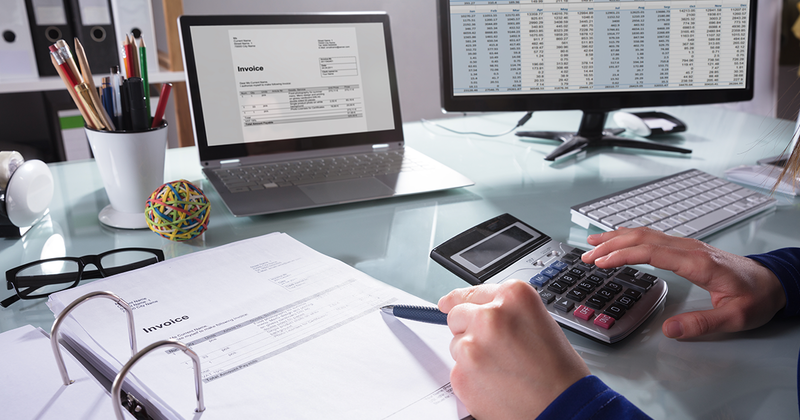 Accounting departments have struggled with age-old invoice problems of too much paper, too many errors and high touch manual processes, which all can be costly. Invoices flow inbound in a constant stream, from all types of sources: email, paper, portal uploads, fax, etc. Manual sorting and management of these streams result in inefficiency and several additional challenges faced by accounts payable teams. High Percentage of Exceptions – Exceptions processing can be painful and ensuring all invoice data is present and correct can be an arduous task. This forces AP personnel to spend hours or days tracking down missing or additional information. Invoice/Payment Approvals Take Too Long – Delays in ingesting and analyzing invoice data can delay approval routing and extend processing time. Too Much Paper – Over 40% of organizations still struggle with paper invoices, and typically have separate workflows for digital and physical invoices. This can result in further delays and inconsistent processing. High Invoice Processing Costs – Organizations that don’t leverage best in class solutions have a cost of $14.38 per invoice and it takes them up to 11 days to process 1. Lack of Invoice Data Visibility – Visibility into the process from start to finish is often lacking. Knowing volumes, exception rates and where to look for bottlenecks is prerequisite to process improvement. Where do you start? How can you tackle these challenges? The good news is, that organizations that leverage best in class solutions can reduce their overall processing cost per invoice from $14.38 down to $2.52. Simply stated, it starts with Smart Capture®. A Single, Standardized Process – Regardless of source, all invoices get routed through the same entry process. Scans, email attachments and other sourced documents are all pulled into the same workflow. This provides an audit trail, and allows for analysis and transparency of invoice batches in process. Exceptions and Rules Enforcement – Issues and exceptions can now be quickly identified at the earliest point in the process (at capture). This prevents data errors from entering the system of record or downstream processes, which can lead to extended processing time. Are you familiar with the 1-10-100 rule? Catching an error prior to a process will cost $1. After it enters a process, it will cost you $10 to fix. Once the process is complete, it will run you $100 to resolve. Speedy Approvals – With an automated process, all invoice data available and manual steps removed, straight through processing can speed up approvals by getting the invoice in the right hands at the earliest possible moment. Simple Conversion of Paper – Whether you are using a scanning copier or a dedicated scanner, being able to insert a stack of invoices into the feeder and have an application do the sorting, classification and extraction, is an immense time saver. Integration with RPA and Workflow Tools – Content capture may be the initial part of the process, but many organizations are leveraging different tool sets to further automation, and Smart Capture® can seamlessly integrate with existing or new process applications. With the challenges removed, the result is a lower cost per invoice, on-time and accurate payments and more productive employees who can spend their valuable time on higher value work.